At Napp, we aim to foster an inspiring workplace that encourages a high challenge, high support environment, empowering our people to be entrepreneurial; to grow and develop their skills and expertise in a workplace that values and rewards proactivity. 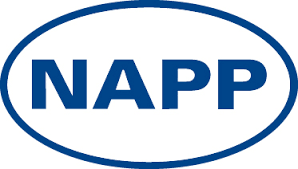 Napp is an ambitious asset-led, customer-focused and sales-driven organisation. We believe that our matrix working structure, in which individuals work as part of multidisciplinary teams within business units, supports a flexible approach that enables our business and each member of the team to have clear accountability and autonomy within the working environment. This style of working means that people working across the business, from our field-based teams to those supporting our brands at head office, feel that they are making a valuable contribution to the success of the business; ultimately, having a positive impact on the lives of patients and those who care for them through the medicines and the educational services we provide. Based in the heart of the Cambridge science community, and part of a worldwide network of independent associated companies across 48 countries, Napp offers many opportunities to gain rich experience alongside frontline health providers and to learn from the expertise of colleagues across the business. Watch the video below to hear from our colleagues about why they love working for Napp. We have an exciting opportunity for a Senior Business Development Lead (Head of UK Business Development) to join our team at Napp Pharmaceuticals. 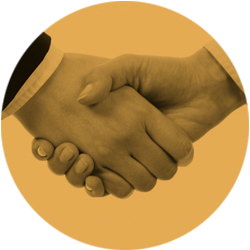 Develop effective relationships with third party pharmaceutical developers and manufacturers to provide enduring partnerships which position Napp and Mundipharma as a partner of choice to commercialise new late-stage assets in the pharmaceutical sector. Through the leadership of the UK Business Development Team, and by working collaboratively with the European Business Development community, develop and execute the Strategic Business Development plan for the selling organisations in the UK, Ireland and Netherlands and be responsible for the end-to-end process of search, evaluation and business case approval for appropriate late-stage assets that are aligned to the broader European Strategic Business Development plan. We are looking for an ABPI qualified Key Account Manager, to join our expanding sales team in the Merseyside geography, working in true key account management style. Collaborating with the Area Business Manager, you will work to develop your own account plans that deliver locally brilliant tactics, and demonstrate agility to changes in the local environment. We are looking for an experienced Key Account Manager, with knowledge of the diabetes therapy area, to join our skilled sales team in the London Borough (South West). Working across the Wandsworth, Sutton, Merton, Richmond and Kingston CCGs, you will have full key account management responsibilities across all aspects of Primary and Secondary Care, together with excellent product, competitor, therapy area and environmental knowledge of products.